IN THE October 2010 edition of Business Day Tax & Law Review we feature a special report on Best Lawyers SA 2010. Inclusion in Best Lawyers is based entirely on peer review. For over 25 years in the US and three years in SA, the top lawyers in the US and SA respectively have helped make the publication the leading legal referral guide by candidly evaluating the work of other top lawyers in the same areas of expertise. After more than a quarter of a century in publication, Best Lawyers this year has designated "Lawyers of the Year" in high profile legal practice areas, such as tax and competition law. Unfortunately, Tax & Law Review has not the space to profile all the lawyers who received accolades. A list of all the lawyers honoured by inclusion can be found on page 12. Best Lawyers – Lawyer of the Year 2010 includes Edward Nathan Sonnenberg’s Dr Beric Croome (left) in the Tax category. This year was an extremely eventful one and we decided to ask some of SA's Best Lawyers to tell us what stood out for them in their areas of practice and the challenges they foresee in the near future. More than 88 000 top general counsel see Best Lawyers lists in incisive publications such as Corporate Counsel and The American Lawyer, while more than 16-million readers see the lists in dozens of city and regional publications in the US including The Washington Post, The Los Angeles Times, and New York Magazine as well as in major business and general publications around the world, from Business Day in SA to Expansion in Spain. The editors of Best Lawyers and Business Day Tax & Law Review would like to congratulate all the professionals who have been selected as Best Lawyers SA for 2010. “TAXPAYERS and some advisors are usually ignorant when it comes to taxpayers' rights," says Beric Croome, an executive in tax at ENS. Croome has received the honour of "Lawyer of the Year" for 2010 in the tax category, due to the particularly high ratings he received from his peers. For three years in a row, since Best Lawyers was first published in SA, he has been designated as a "Best Lawyer" for tax. Taxpayers in SA currently also do not have a cost-effective remedy in seeking redress when SARS abuses its powers unduly and this is a matter that should be addressed. Croome is a non-executive director of the Taxpayers Movement of SA which, among other things, intends to increase taxpayers' awareness of the rights that they have with SARS and is also calling for the creation of the tax ombudsman as a separate independent office to deal with taxpayers' complaints where SARS has abused its powers. It was during these studies that Croome decided that tax was a legal subject and decided to expand on his knowledge of law, and tax law in particular. As he was already working fulltime, he became a part-time student at the University of South Africa and completed the BProc and LLb degrees. 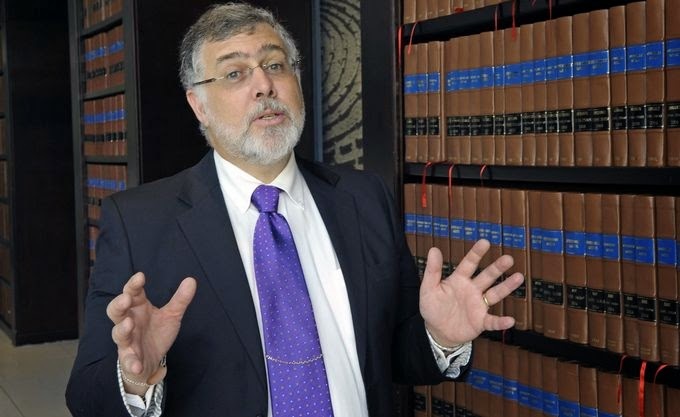 “Studying constitutional law, in particular the bill of rights, whetted my appetite for taxpayers’ rights in SA and how the bill of rights affects South Africans taxpayers in their dealings with the Commissioner of SARS." During 1994 he started to write articles about the constitution, which came into effect on April 27 1994 and the effect it had on the manner in which the revenue authority deals with taxpayers. Subsequently, he started researching the protection of taxpayers' rights in various countries, particularly Australia, Canada, the UK and the US, collecting articles and materials relating thereto. This came in handy during 2001 when Professor Richard Jooste of the University of Cape Town requested that he author an article dealing with taxpayers' rights in SA for publication in the UCT law journal 'Acta Juridica'' which was published n 2002. "My passion for the subject led to an article twice as long as was required by the university. I didn't want to lose the additional material, so when Professor Jooste suggested that I consider applying for admission to the PhD (Doctor of Philosophy) degree at the University of Cape Town, with taxpayers' rights in SA as my topic, I was drawn to the challenge,” says Croome. He commenced studies under the supervision of professors Richard Jooste and Hugh Corder, then dean at the faculty of law at the University of Cape Town, in 2003. His topic focused on taxpayers’ rights in SA, concentrating on the rights to property, privacy, access to information, administrative justice and access to courts. 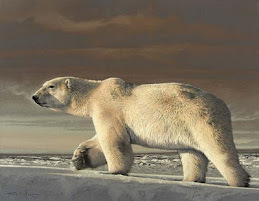 He received his PhD degree in June 2008. The University of Cape Town put his thesis forward for the 2009 Deneys Reitz National Tax Thesis Competition. Croome was subsequently advised that his thesis had been given the award in the doctoral category. The thesis was published by Jutas as the book “Taxpayers' Rights in South Africa” in May this year. Croome is currently working with two leading overseas tax specialists in the field of taxpayers' rights, co-authoring a book dealing with international taxpayer protection. Publication of this book is aimed at 2011 or 2012. For many, years he has taken a great interest in the powers of SARS and how it treats taxpayers in light of the rights conferred on taxpayers under the provisions of the bill of rights. 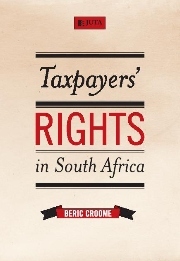 Hopefully, when the process of converting the technical text of “Taxpayers' Rights in South Africa” into a more accessible guide for taxpaying citizens has been completed, this version of the book will give the man-in-the-street the knowledge he requires to understand his rights as a taxpayer. "I hope that, in the not too distant future, there will be significant developments in the area of taxpayers’ rights in SA, enhancing the protection of taxpayers’ rights in the country," he says. This article was written by Sanchia Temkin and first appeared in the October 2010 issue of Business Day's "Business Law & tax Review"
So very proud of you! Well done, your humility and hard work are what make you so special. PS I may be your wife but I'm completely objective! Thank you for your support and encouragement, without which this would not have been possible. I am awed and so proud. Well done Beric. What an achievement. Thank you for your comments Glynis- much appreciated.